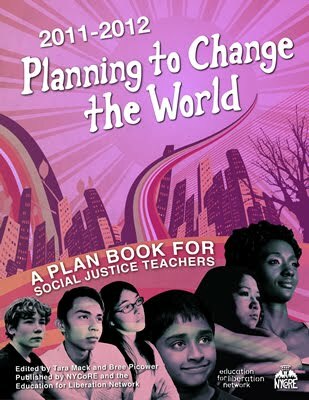 Teachers For Social Justice: Milwaukee Schools Under Attack-Need Our Help! Milwaukee Schools Under Attack-Need Our Help! Come to Milwaukee w/ TSJ for a March and Rally Saturday Sept 21-Public Education is a Civil Right! Milwaukee public school educators, parents, and students need your help. The assault on public schools is increasing in Milwaukee. We have called for Public Education is a Civil Rights March and Rally for Saturday, September 21 in response. We hope that you can join us to demonstrate to the entire state that we are united in our demand that public education be supported, not abandoned. IF YOU WANT TO COME WITH US, EMAIL Jessica of TSJ, we will leave Saturday AM and return that afternoon-we will either be on a bus w/ CTU and/or car pooling. WEAR YOUR TSJ T-SHIRT!!! The most recent attack on public schools in Milwaukee has come in the form of a proposal from the Metropolitan Milwaukee Association of Commerce that would create a New Orleans's style "recovery zone" in Milwaukee. Dozens of "low performing" schools would be removed from the democratic control of the school board, and placed in a new school district or zone that has an appointed superintendent. That superintendent would then turn those public schools over to privately-run charter schools. This is essentially what happened in New Orleans -- all the teachers were fired in that district as part of the conversion. This is also happening in parts of Tennessee and Michigan. We are asking for you to stand in solidarity with public schools in Milwaukee. For over 20 years Milwaukee has been ground zero for this assault on public education and we are drawing the line. We are saying "no more." Over 50 organizations have endorsed the march. John Stocks, NEA Executive Director is going to be joining the march and will be a speaker. We need a large turnout. We need you. Follow these links to a flyer and list of co-sponsors. The MTEA is willing to contribute $100 to any uniserv or local or community organization from outside of Milwaukee to defray cost of a rented bus to come to Milwaukee. We will support the first ten bus requests that we receive. If you have questions please contact me directly. First People's Board Meeting Held In Chicago!